Celebrating a major gift of photographs from a pair of local collectors, this exhibition features works by masters of the photographic form, with an emphasis on contemporary work from the Bay Area and around the world. 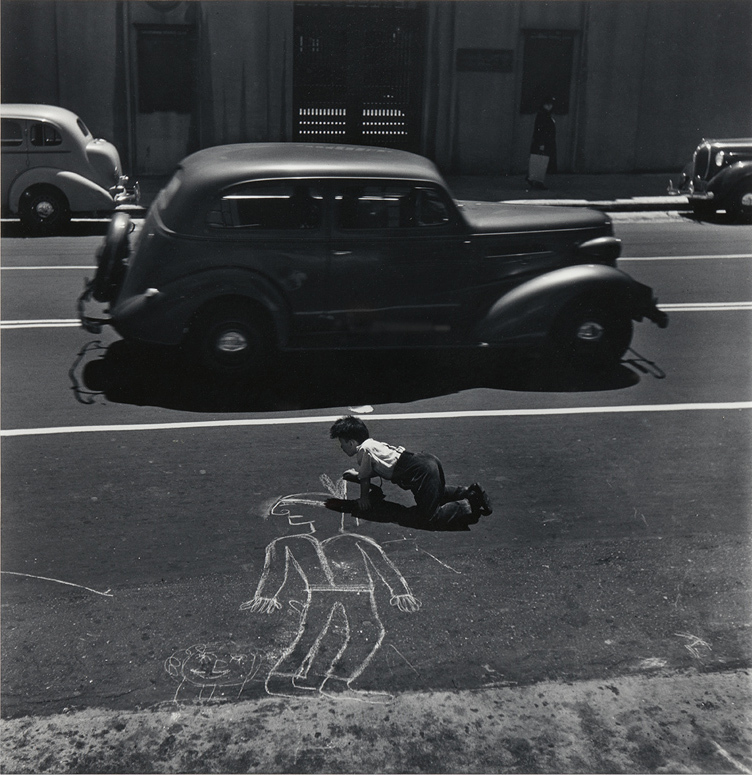 John Gutmann, The Artist Lives Dangerously, San Francisco, 1938; gelatin silver print; 14 x 11 in. ; BAMPFA, promised gift of Victoria Belco and William Goodman in memory of Teresa Goodman. John Gutmann, © 1998 Center for Creative Photography, Arizona Board of Regents. 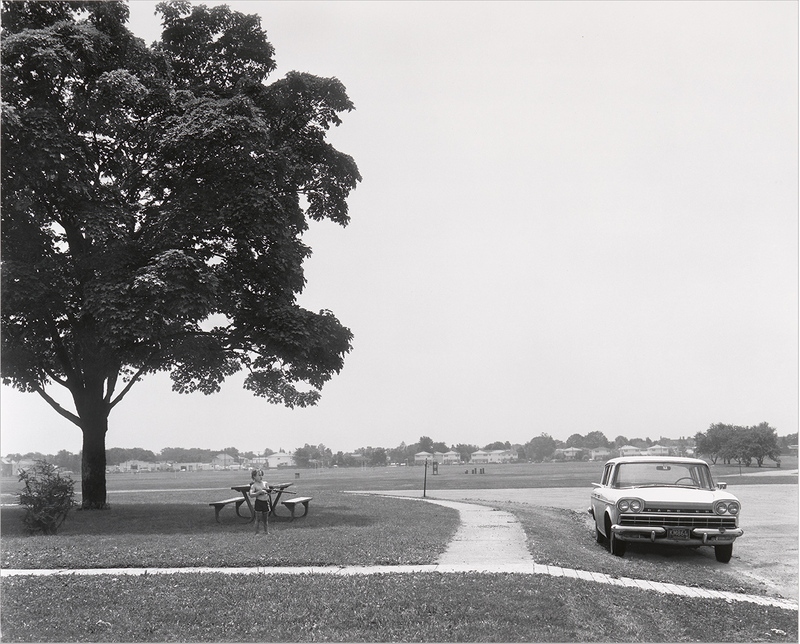 Christine Osinski: Boy Pointing Rifle at Car, 1983–84; gelatin silver print; 20 x 24 in. ; BAMPFA, promised gift of Victoria Belco and William Goodman in memory of Teresa Goodman. 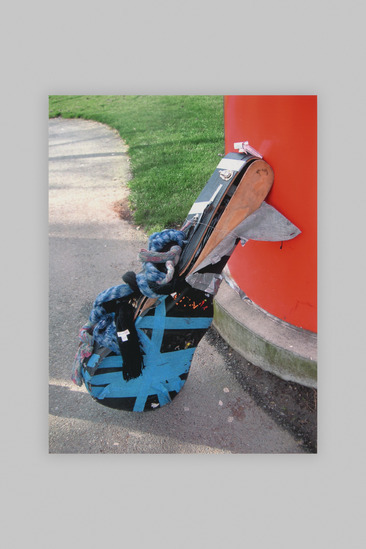 Christian Marclay: Seattle, 2005; Chromogenic print; 11 x 8 1/4 in. ; BAMPFA, gift of Victoria Belco and William Goodman in memory of Teresa Goodman. © Christian Marclay, courtesy of Paula Cooper Gallery, New York. 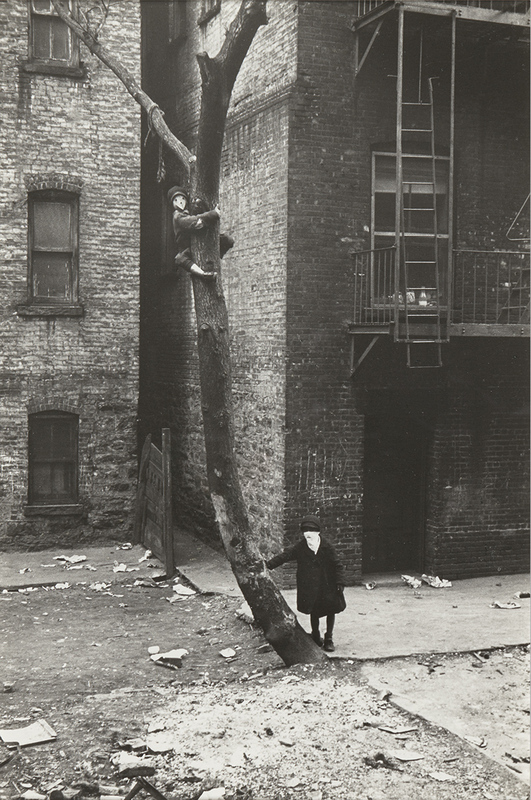 Helen Levitt: New York, c. 1940; gelatin silver print; 10 x 6 3/4 in. ; BAMPFA, promised gift of Victoria Belco and William Goodman in memory of Teresa Goodman. Helen Levitt © Film Documents LLC, courtesy of Galerie Thomas Zander. Sims offers an exhibition walk-through focusing on emerging artists of the American West. 11 x 8 1/4 in. BAMPFA, promised gift of Victoria Belco and William Goodman in memory of Teresa Goodman. John Gutmann, © 1998 Center for Creative Photography, Arizona Board of Regents. 10 x 6 3/4 in. BAMPFA, promised gift of Victoria Belco and William Goodman in memory of Teresa Goodman. Helen Levitt © Film Documents LLC, courtesy of Galerie Thomas Zander. Look at photographs in Unlimited and think about the stories they tell, then use drawing and collage to illustrate a story from your own life. The curator of Unlimited leads a close look at pictures by Bay Area photographers and places them in the context of Asian and European works also on view. This exhibition celebrates a major gift of photography, donated over a period of several years, from Berkeley collectors William Goodman and Victoria Belco in memory of their daughter Teresa Goodman. While the exhibition features some historical photographs, such as pictures by the early twentieth-century French photographer Jacques-Henri Lartigue (most of whose work was made between the ages of eight and eighteen) and the stunning modernist pictures of the English photographer Bill Brandt, it is especially strong in contemporary work, including images by many living masters such as Robert Adams, Lee Friedlander, William Klein, and Robert Frank. The Bay Area has provided particularly fertile ground for photography collectors, with a number of exceptional local galleries as well as many world-class photographers who make their homes here. The Goodman Belco collection includes works by many such local artists. Those of an earlier generation, such as John Gutmann, Robert Hartman, and Richard Gordon, are now deceased, while younger photographers, such as Sean McFarland, Janet Delaney, McNair Evans, and Catherine Wagner, are actively working members of our community, and have growing national and international reputations. The collection’s scope also extends to contemporary photography from China, Japan, Russia, Western Europe, and Eastern Europe, featuring works by the Japanese photographers Daidō Moriyama and Miyako Ishiuchi, Russians such as Alexey Titarenko, and others. The collection is also strong in both documentary photography and more experimental work, including images by William Larsen, Marco Breuer, and Steve Kahn. Unlimited: Recent Gifts from the William Goodman and Victoria Belco Photography Collection provides a reminder of the breadth of scope and variety of practice in photography, as it conveys the tangible excitement these pictures generated for their collectors, who now generously share the fruits of their enthusiasm with us. Unlimited: Recent Gifts from the William Goodman and Victoria Belco Photography Collection is organized by Adjunct Curator Sandra S. Phillips with Andrew W. Mellon Curatorial Intern Delphine Sims and additional assistance from Assistant Curator Stephanie Cannizzo and Curatorial Assistant Valerie Moon. The exhibition is made possible with generous support from the BAMPFA Trustees and from William Goodman and Victoria Belco, in memory of Teresa Goodman.